Verify the description shows up in WhatsApp, Facebook and Twitter shares. During the New Readers workshop, we learned that Wikipedia links don't display well in Whatsapp. This is also true on other websites. Apparently this is solvable by updates to metadata. I will do more research at some point, but maybe you know something and we can expand on this. @JKatzWMF says there may be an existing task for this. there may be an existing task for this. dr0ptp4kt added subscribers: Nirzar, dr0ptp4kt. 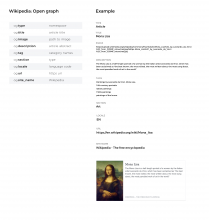 @Nirzar what sort of UX would you recommend for OpenGraph cards? dr0ptp4kt added subscribers: Fjalapeno, JMinor, Florian and 3 others. I just merged in an iOS task. Generally, OpenGraph is the de facto open standard around this stuff. It's legitimate to factor in multiple aspects of this problem if approaching it, as the tags have cross-platform interpretations. It's an interesting problem to solve. I just merged in an iOS task. Generally, OpenGraph is the de facto open standard around this stuff. See my follow-up as well, which is basically me giving up the no-site-specific-metadata-standards fight, sadly. If we're going for general sufficiency at the whole page level (<head><meta> tags), I believe schema.org Article (for search engines) and OpenGraph (for sharing scenarios plus other extraction technologies) would be enough, given that Twitter tech is supposed to fall back to OpenGraph on matching properties. This said, given that the search providers already apply lots of special logic in interpreting Wikimedia content, I wonder if it would be possible to skip the schema.org Article piece. It would seem in either case (i.e., schema.org Article plus OpenGraph, or only OpenGraph) we'd definitely want to check the page rank metric on a site or two before applying more generally. I did some analysis on what tags should be used and what we use right now. Right now there is a way to "infer" OG tags but it depends on the client. @Nirzar I think you've gotten this pretty far along... maybe we pass it into Web at this point? @ovasileva this is in needs analysis. It requires priority, user stories, goals, and acceptance criteria. wanna tackle this together and put it in "Triaged but future"? this might go under "accessibility debt" in future or you think this goes under new feature and not debt? @Nirzar - I think it would probably need a few more tasks, some product discussion on requirements. Let me tag it for the backlog and then we can discuss what other cards are necessary. As far as classification, hmm, I think it can be considered debt, as it's technically a "feature" already, just one we don't do particularly well. Nirzar raised the priority of this task from Normal to High. This all seems pretty actionable. Anyone fancy writing some patches for me to +2? What would the image be if a page has no page image? Do we have a default one? @Jdlrobson can we increase the scope of this task to all og metadata and create a subtask for og:image? We already have a lot of subtasks (see subtasks of T56829) which is making it harder to work out what actually is needed so i discourage the creation of anymore. There is one thing, I probably want to tackle this in the weekend since it has a big impact on Wikidata but if if I didn't get to work on it, I highly recommend you to get the page image using PageImages extension not TextRenderer. I would put the entire wordmark but we cant localize. We can use the existing global $wgAppleTouchIcon as a fallback. This will ensure all our projects behave this way. Jdlrobson moved this task from Needs Code Review to Blocked Externally on the Reading-Web-Sprint-90-🍌 board. Jdlrobson reassigned this task from Nirzar to Ladsgroup. At time of writing don't see any evidence of it working on Whatsapp. Reading around I see that Whatsapp doesn't support picture with a size greater than 300KB. Should we reevaluate the width/height we used @Ladsgroup and @thiemowmde ? First, thanks for sharing article of Obama. Jdlrobson moved this task from Ready for Signoff to Needs More Work on the Reading-Web-Sprint-90-🍌 board. 1200 makes sense to me. Actually a bit more than 1280. ;-) Go for it. For upright images it would help to limit both width and height to the same number. Personally I'm also fine with 1024. For the record: I'm very much oppose a default image and already outlined the reasons in the comments section at https://gerrit.wikimedia.org/r/334789. A default image that describes the project rather than the page belongs to the meta tags <link rel="shortcut icon" …> and <link rel="apple-touch-icon" …>. We are already providing these. Spamming social networks with project logos is not only of no value, it hurts on multiple levels. Technically, if Facebook is clever they will block this as soon as they realize we are effectively spamming peoples timelines. 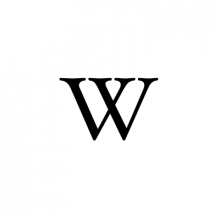 Socially, when I want to share a Wikipedia article that has no image, there should not be an image. 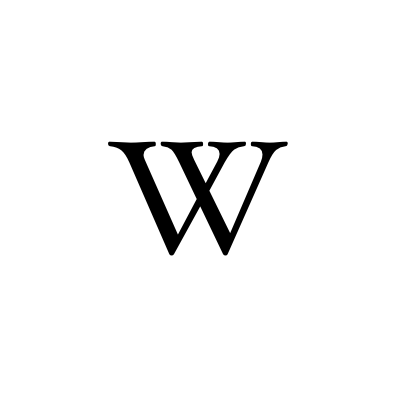 A giant Wikipedia logo does not make it easier to understand what I just shared, it's noise that gets in the way. Beautiful. Tested Barack Obama and Albert Einstein on Whatsapp and both show images in the previews. Note that descriptions may not show/may not be as good (but please discuss those issues over in T142090!). @thiemowmde you've convinced me on the subject of no fallback image. I think this work is good to wrap up now. Let's wait till it rides the train and then deal with issues as they arise. FYI @Nirzar this should be live in wmf.11 (which should hopefully be next Thursday for enwiki, Tuesday for hewiki). Note that we are not showing a fallback image (per https://phabricator.wikimedia.org/T142048#2989468). If you feel strongly about that please raise a new task for separate discussion! @JKatzWMF @ovasileva it would be worth keeping an eye on site pageviews from referrers next week. I seem to recall there is lots of evidence out there on the web that images lead to more click throughs and it would be an important data point to capture (important from a help other websites pov and telling a story about the value of social networks). Please keep me and @thiemowmde posted if you want to go with fallback image. 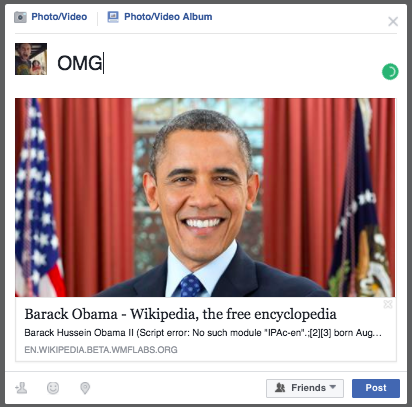 I think it might take some time that this change propagate through cache of facebook/others. We might reach out to them and ask them to purge it but not so sure about that. Please keep me posted regarding pageview by referrer and any change in those areas.